Rafi Firdaus, spokesman for the Administrative Affairs Department at the Presidential Palace said Karzai had appointed some new commissioners through issuing a decree. Commissioner Zia Langari has been, as an activist, involved in human rights activities since 1991. He worked in senior positions with national and international NGOs working for awareness raising and human rights programs. He attended several national and regional forums. A well-known human rights activist and advocate, before joining the Commission he worked in senior positions with CCA, an Afghan NGO mandated for human rights protection and promotion. Dr. Soraya Rahim Sobhrang is a well known womens and human rights advocate and activist. Before joining the AIHRC, she was Technical and Political Deputy Minister in the Ministry of Womens Affairs. In 2005, she worked as an advisor for the womens rights protection and development unit of Afghanistan Independent Human Rights Commission, where later on, in Jan 2007 she was selected as a Commissioner. Besides having membership in national and international societies, Dr. Sobhrang has participated in several national and international conferences. Civil society and human rights activists have been urging Karzai to appoint independent and experienced human rights experts to fill vacancies on the AIHRC. Chairperson Commissioner Dr. Sima Samar is a well known woman’s and human rights advocate and activist within national and international forums. Since 1994, Dr. Samar has received various international awards on women’s rights, human rights, democracy, and women for peace. Dr. Samar served as the first Deputy Chair and Minister of Women’s Affairs in the Interim Administration of Afghanistan. Before chairing the Commission, she was elected as the Vice Chair of the Emergency Loya Jirga. She was appointed as the Chair of the AIHRC by Mr. Karzai, Chairman of the Afghanistan Interim Administration. Ex Commissioner Fahim Hakim is a qualified social, development and human rights advocate. He enjoys 20 years of experience of working as a grass-root peace builder and advocate for community empowerment and human rights. Before joining the AIHRC, he was director and founding member of Co-operation for peace and Unity (CPAU), as Afghan network for peace. 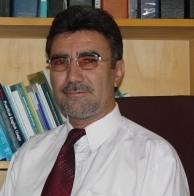 AS an active member of Afghan civil society, he attended the Bonn Conference in 2001. Mr. Hakim completed his MA studies at PRDU, the University of York, York, UK, in 1998. In 2009, he was a commissioner and member of the Electoral complaints Commission (ECC) to deal with challenges and complaints related to presidential and provincial council's elections. Ex Commissioner Ahmad Nader Nadery was a Commissioner at the Afghanistan Independent Human Rights Commission. He represented Afghan Civil Society at the UN peace talks for Afghanistan in the Bonn Conference 2001. Mr. Nadery works also as the Chairperson of Fair and Free Election Foundation of Afghanistan, he is a member of advisory board to Open Society Institute (OSI) Afghanistan programs. He has written extensively on politics and human rights in Afghanistan and is a member of Board of Editors of the Oxford Journal on Transitional Justice. He served as Spokesperson for the national grand assembly (Loya Jerga) in 2002. Prior to his appointment at the AIHRC he worked as country director for the international human rights law group (Global Rights). Mr. Nadery won several international awards and was recognized as an "Asian Hero" by Time Magazine in 2004. He was also a 21 Young Asia Leader's fellow with the Asia Society and is a member of it's international council . The World Economic Forum recognized Mr. Nadery as Young Global Leader (YGL) in 2008. He studied law and political sciences at the Kabul University and earned his masters degree on International Affairs from George Washington University. Ex Commissioner Farid Hamidi is a well-known lawyer with extensive experience on criminology and investigation. He had attended various national and international conferences and events relevant to human rights promotion and protection. Before joining the Commission, Hamidi was member of the Emergency Loya Jirga and responsible for developing rules and regulation for election. He has worked closely with the Judicial Reform Commission in the training of lawyers and judges on international human rights law and standards. 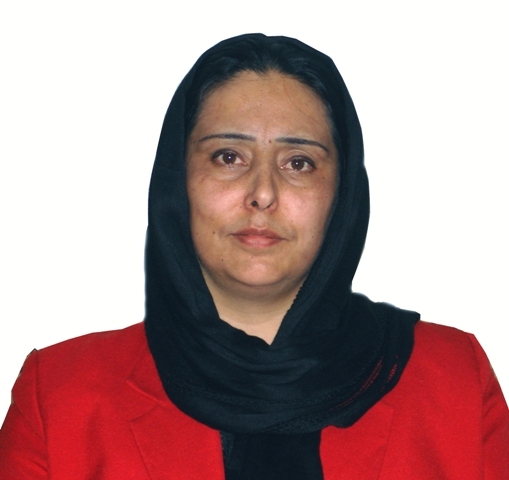 Commissioner Hamida Barmaki is associate Professor of private law at Faculty of Law and Political Sciences of Kabul University. She is graduated from Faculty of Law and Political Sciences of Kabul University and has obtained Master Degree on Development, Innovation and Change from Bologna University, Italy. She worked as Country Representative of Max Planck German Institute and IIPEC French Institute in Kabul and as head of Law and Political Science department of National Center for Policy Research of Kabul University. She is the author of booklets in Women’s Rights in Islam and Afghan laws and member of women’s council of Kabul University. She worked as Legal Advisor of AREU, deputy dean of Faculty of Law and Political Sciences and was the member of Emergency Loya Jerga. Commissioner Dr. Soraya Rahim Sobhrang is a well known women’s and human rights advocate and activist. Before joining the AIHRC, she was Technical and Political Deputy Minister in the Ministry of Women’s Affairs. In 2005, she worked as an advisor for the women’s rights protection and development unit of Afghanistan Independent Human Rights Commission, where later on, in Jan 2007 she was selected as a Commissioner. Besides having membership in national and international societies, Dr. Sobhrang has participated in several national and international conferences. Commissioner Abdul Karim Azizi is a well known educator with extensive experiences in field of education from curricula development and writing mathematics textbooks for primary schools to writing training manual for educators and Primary schools. Mr. Azizi possess a BSc Degree from faculty of science of Kabul University and MA Degree in education from University of Georgia, USA. Commissioner Mr. Azizi has diverse experiences of working with government offices, UNICEF-Kabul, and international organizations in Afghanistan. Before joining the AIHRC, Mr. Azizi was co-manager for a project for Strengthening of Teachers Education Program (STEP) funded by Japan International Cooperation Association in Kabul. Mawlawi Ghulam Mohamad Gharib was born in Maroaf district of Kandahar Province 1948. He did get his primary Islamic education in Kandahar city; in 1973 he went to Karachi city of Pakistan and got his degree in Feqa and Feta. In time of Mouqawamat he was deputy for justice minister. In transitional government he was appointed director in Haj and Owqaf ministry. In 2004 he was leader of Kandahar clergy association. In Dec 2006 he was appointed commissioner of Afghanistan Independent Human Rights Commission. is the Executive Director of the Afghanistan Independent Human Rights Commission (AIHRC). He is a committed Human Rights activist and lawyer with over 10 years of experience in the field of promotion and protection of human rights in Afghanistan. He has worked as Director of Bamyan Regional Office of the AIHRC and Deputy Country Director of National Democratic Institute for International Affairs (NDI) in Afghanistan. Mohammad Musa Mahmodi is also a board member of the Free and Fair Election Foundation of Afghanistan (FEFA). He holds a law degree from Kabul University and earned his MPA and MAIR from Maxwell School of Syracuse University, USA. From the above nine commissioners, four have since resigned due to other engagements: Farid Hamidi became the Attorney General, and Wahiddudin Arghun his deputy, joined the Attorney General’s Office in February 2018 . Surya Subhrang and Hawa Alam Nuristani are both standing for the upcoming parliamentary 2018 election. CSWG was given the authority not only to collect the applications, but also to make the first shortlist of the 81 most qualified applicants through a lengthy process (as discussed later). The composition of the Selection Committee was also changed. Two more members from the chief executive’s team, the minister of justice and the minister of women’s affairs (one being a woman) have been added to the committee. So far, there is no sign of disagreement among the leadership of the National Unity Government, or between the president and his deputies about this mechanism. However, the situation may well change before the end of process. The Selection Committee consists of Sayed Yusuf Halim, the chief of justice (chair), Muhammad Farid Hamidi, the attorney general, Abdul Basir Anwar, the minister of justice, Dilbar Nazari, the minister of women affairs, and Muhammad Qasim Hashemzai, the chairperson of the Independent Commission for Overseeing the Implementation of the Constitution (ICOIC). Three members of the committee are from the president’s team (the chief of justice, head of the ICOIC and attorney general) and two from the chief executive’s team (the ministers of justice and women’s affairs). CSWG should consist of seven well-known civil society and human rights activists, three of whom should be women. They are elected by the Secretariat of the Civil Society Joint Working Group. On 11 August 2018 , these seven members were elected. A few days later they were introduced to the AIHRC as the procedure provides for them to have an office in the AIHRC compound. The members are: Leya Jawad, chairwoman of Feminine Solidarity for Justice Organisation; Sakina Sakhi, chairwoman of the Support Vulnerable Persons Organisation; Nawida Kakar, chairwoman of the Women’s Association; Abdul Wadud Pedram, chairman of the Human Rights and Education about Violence Organisation; Abdul Jabar Paikan, chairman of the Afghanistan Countrywide Teachers Union; Dr Abdul Basir Turyalai, Chairman of the Afghan Amputee Cyclists for Rehabilitation and Recreation and; Hassan Hakimi, chairman of the Afghanistan Youth National Development and Social Organisation.